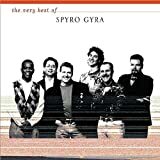 Spyro Gyra started out with the rhythms of the world. From the samba rhythms and Caribbean feel of their early hits to the latest album, they have made it a point to embrace the music of the places they have visited. Their new album, A Foreign Affair, is ready to take you around the world from the Caribbean to South America, and even to South Africa, India and Japan. Besides the memorable instrumentals, there are also three vocal tunes, one of which features Grammyr winning Keb' Mo'.